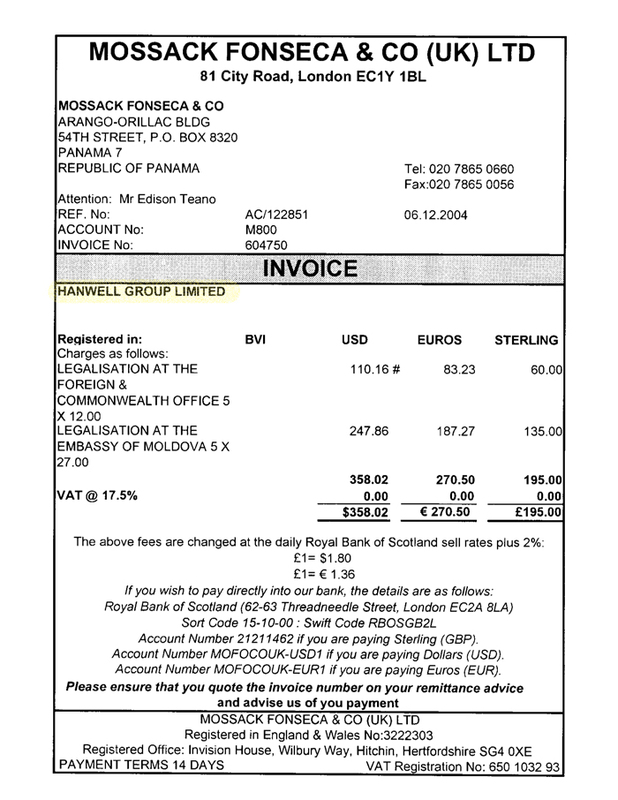 Documents from the global investigative project The Panama Papers show that the Stati family of Moldova has juggled more than 50 offshore companies in the international oil industry, most registered in the tax havens of the British Virgin Islands (BVI), Gibraltar, Belize and Luxembourg. 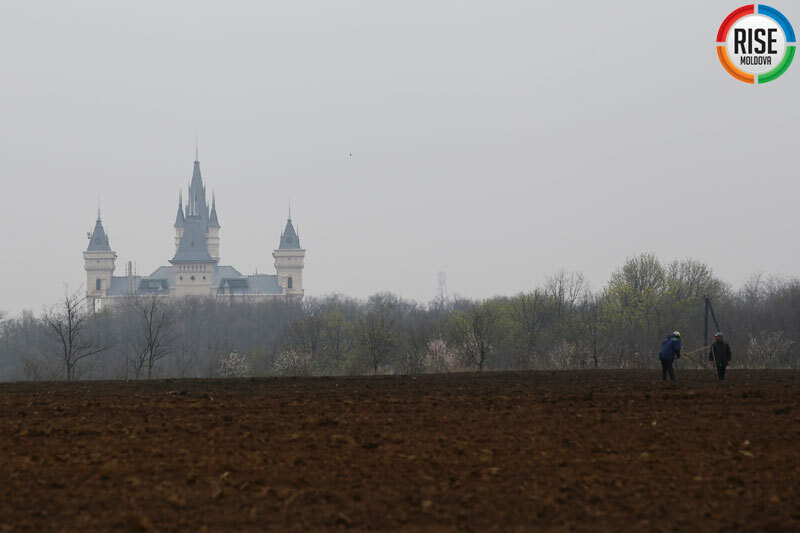 This new evidence augments RISE Moldova’s work over the past two years in analyzing more than 10,000 documents showing how the tycoon Anatolie Stati used tax schemes to create his oil business. The documents show employees of companies affiliated to the Ascom Group, the largest oil and gas company in Moldova which is controlled by the Stati family, talking openly about bribing officials in Africa and asking the company’s management to send them money to pay the bribes. Gabriel Stati is 39 years old and is vice president of Ascom. The Stati family began oil operations in Africa in 2005 when it signed its first contract with South Sudan, a region of Sudan which became independent in 2011. 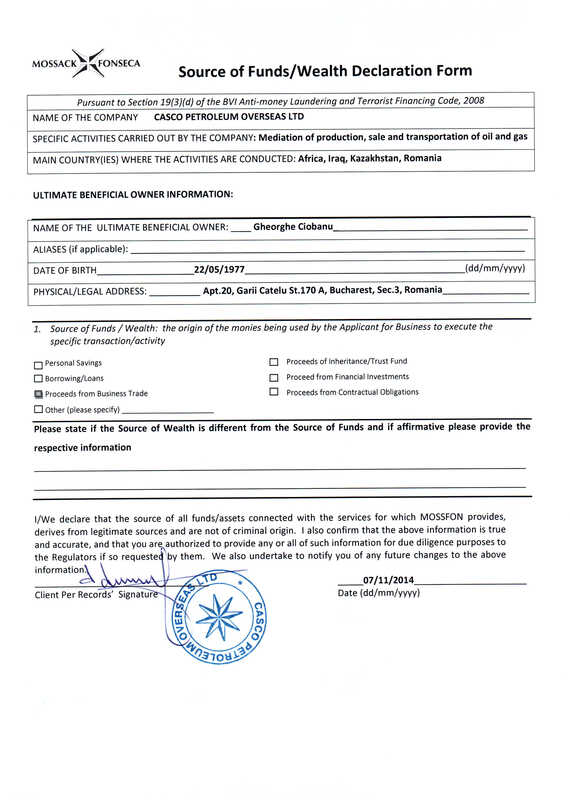 In several documents, officials of Casco Petroleum Overseas Ltd. reported to the company director Eugen Ungureanu, situations in which they bribed officials in African countries. In a document dated 20 May 2008, Igor Garbuz, administrator of Juba base, the largest town in South Sudan, wrote to Ungureanu that a plane transporting spare parts for Casco which took off from the Nairobi airport in Kenya bound for Juba had part of its cargo unsealed. This attracted the attention of customs officers, who checked the contents. 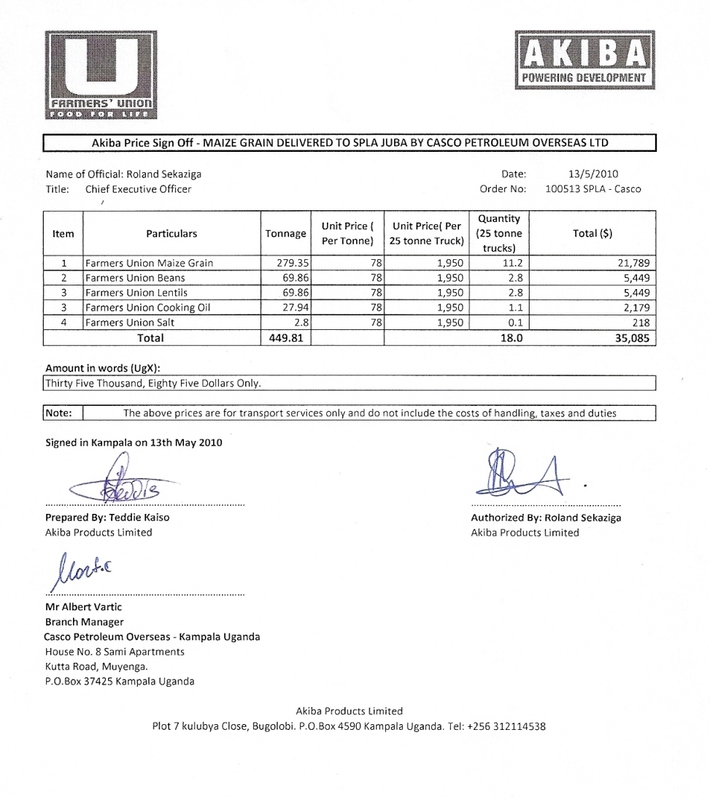 When the invoice data did not match the contents, some were confiscated. „After he was given a bribe in the amount of 200 Sudanese pounds (200 South Sudanese pounds, equivalent to more than US$ 30), the customs officer released the confiscated goods. I hereby request the amount of 200 Sudanese pounds paid to the customs officer as bribe to be written off,„ wrote Garbuz. 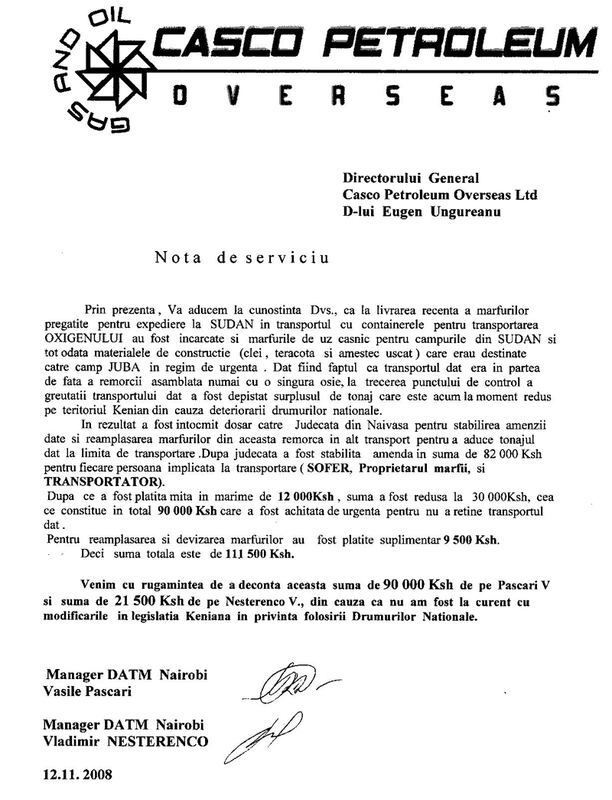 Six months later, two other Casco employees, Vasile Pascari and Vladimir Nesterenco, told Ungureanu about another freight transport from Kenya to South Sudan. Because the truck that delivered oxygen and household goods weighed more than allowed by the Kenyan authorities, a local court imposed on the driver, the owner of the cargo and the carrier a fine of 246,000 Kenyan shillings or KES (about US$ 2,400). „After having paid a fine of 12,000 KES, the amount was reduced to 30,000 [for each person involved in the transport] which is 90,000 KES paid urgently not to delay the the transportation time. For relocation and separation of goods, [the] division was paid another KES 9,500. So the total is 111,500 KES. 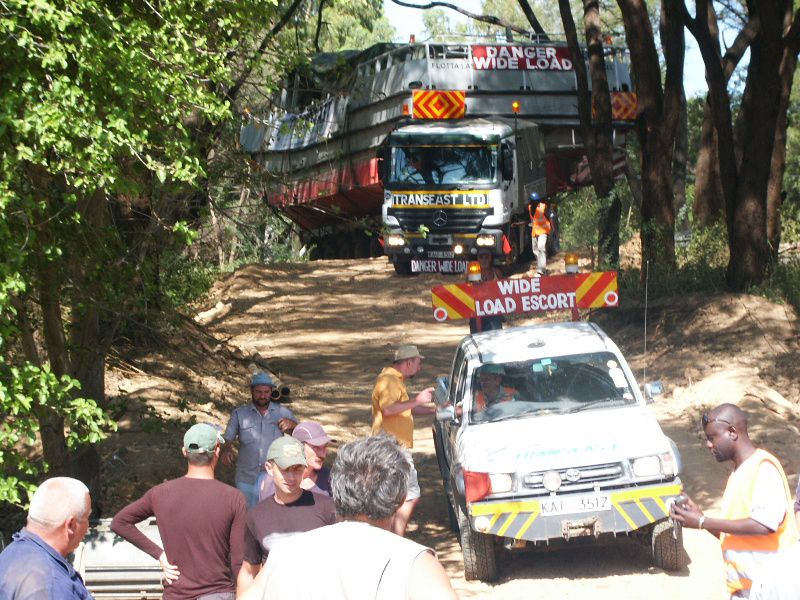 We come with a request to write off this amount of 90,000 KES from Pascari and KES 21,500 from Nesterenco, because we had not been aware of the changes in Kenyan legislation on the use of national roads,’’ the managers wrote from the Nairobi base. In 2010 Valeriu Ojog, a lawyer at Casco Petroleum Overseas Ltd., wrote to his superiors about not paying income tax in South Sudan for 900 foreign workers and local employees of Ascom Sudd Operating Company Ltd., Casco Petroleum Overseas Ltd. and Gabycon Civil Works Ltd. (documents demonstrating that the Stati family is the real beneficiary at Gabycon, HERE). General Salim Saleh, 56, is a high-ranking officer in the Ugandan Peoples’ Defense Force and brother of the President of Uganda, Yoweri Museveni. 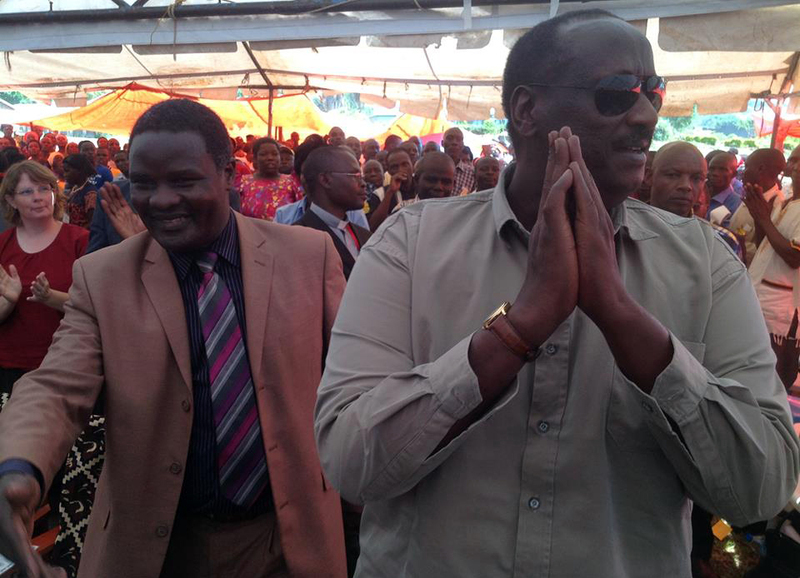 (to the right) General Salim Saleh, the brother of the President of Uganda – Yoweri Museveni. In 2010, Salim went into business with companies affiliated with the Ascom Group. On March 9, 2011, Ascom Group’s Bastovoi, at that time the Sudan project coordinator, told two subordinates about a deal brokered by Saleh. „Gentlemen, at the initiative of Gen. Salim Saleh (brother of the President from the neighboring country) I had a meeting with Director of the company whose profile you have in the attachment. He made a good impression, in the attachment you will see their field of activity and contracts made. What they lack is our equipment. They would be very happy, including the General, if we could create a kind of association of any kind, to be able to work on Ugandan territory … „. A few days after this e-mail, Neaga comes back to Perecheatco with a message about the legal conditions for duty-free shops in South Sudan. The document states: „The Minister of Finance was not aware of the provisions of the Customs Act. South Sudan territory does not currently operate any duty-free shop and there is no precedent in this respect there. Institutions exempt from customs duties, international organizations and diplomatic missions get their supplies on individual basis and are exempt from customs duties. At first discussion when the Minister heard about Ascom company’s involvement in the project, he promised to issue the given authorization without any difficulties”. To date, Shor has not started any business on the African soil. 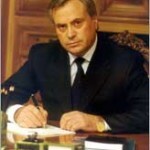 One year later, Gabriel Stati withdrew from Casco Petroleum Overseas Ltd. Gheorghe Ciobanu was appointed as representative of Casco and an intermediary associate in a Moldovan company with Gabriel Stati’s ex-wife, Natalia, the daughter of Dumitru Diacov, a member of Parliament for the Democratic Party. In 1999 the offshore company Tristan Oil Ltd., founded by Anatolie Stati, took majority stakes in two oil companies of Kazakhstan: Tolknynneftegaz and Kazpolmunay. 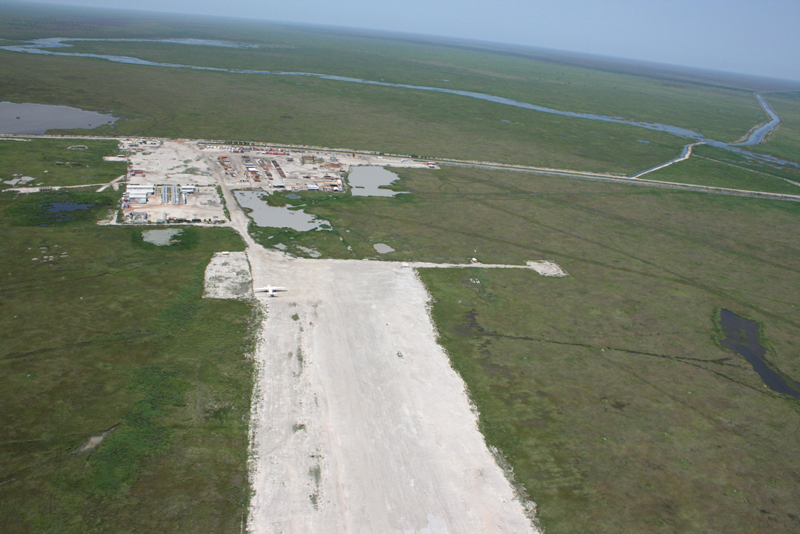 Tristan Oil, through two subsidiary companies, exploited oil and gas in Tolkyn and Borankol. 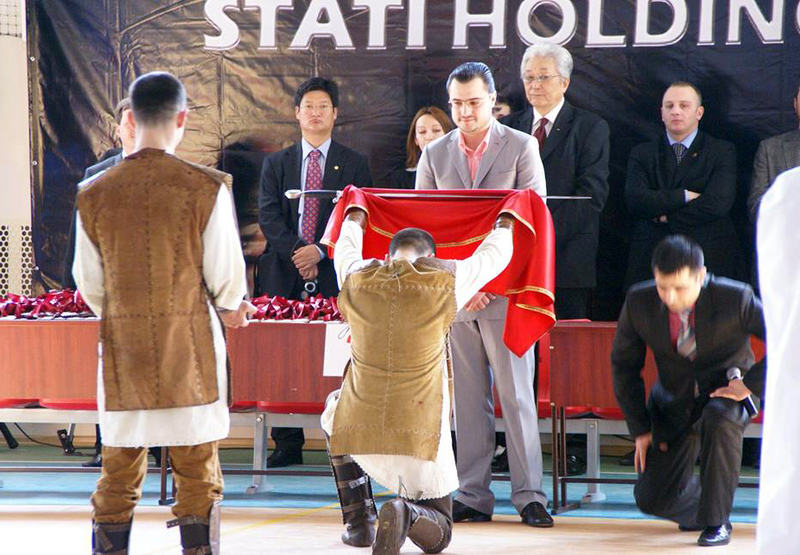 Late in 2008, Stati came into conflict with the Kazakh authorities. After checks by the control bodies, Tolknynneftegaz and Kazpolmunay were accused of violating tax laws. The problems in Kazakhstan led Anatolie Stati to borrow money. Details of a credit of millions of dollars have been revealed by the Panama Papers. On June 11, 2009, an offshore company called Laren Holdings Ltd. borrowed US$ 60 million with collateral put up by Anatolie Stati and eight companies he controlled. The loan was provided by a group of lenders with participation of the Renaissance Securities Ltd. (Cyprus) investment fund. 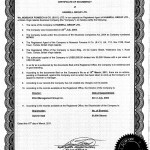 Laren Holdings Ltd. was registered in the BVI on June 10, 2009, one day before signing the credit agreement. Laren’s true owners are hiding behind a trust company specializing in management of offshore companies. Laren Holdings intended to use the US$ 60 million for two purposes: US$ 27 million to credit the offshore company Montvale Invest Ltd., run by Anatolie Stati; in turn, Montvale would transfer money to another company affiliated to Stati, Tristan Oil, to pay the taxes due to Kazakh authorities. Another US$ 30 million was to be paid by Laren to Stichting Security Trustee Company (Netherlands) to purchase securities from Tristan Oil at one-quarter of the expected price. 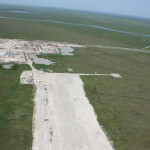 In June 2009, the Financial Times called the Tristan Oil decision to sell securities at the reduced price „controversial.” In addition, Tristan Oil investors have challenged in court the company’s decision to issue new securities and sell them cheap. Laren Holdings was required to repay the full US$ 60 million by 11 Dec. 2009, yet by that date the company had returned less than US$ 10 million. Anatolie Stati explained to creditors that payment was delayed because of disputes with the Kazakh government. In discussions held with the Renaissance Securities representative, Stati promised that Laren would honor its commitments as soon as problems in Kazakhstan were resolved. In July 2011, creditors learned that Komet Group JV, owned by Anatolie Stati sold 60 percent of the Barda Rash oil field in Kurdistan to the British company Afren plc for about US$ 400 million. On 25 August 2011, the Renaissance Securities representative contacted Anatolie Stati to discuss the Afren transaction and the possibility of paying off the debt. 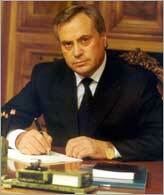 „The fact that Renaissance knew (the) details about the Alfren transaction disarmed Mr. Stati. … He did not want to discuss the Afren transaction. Instead, he insisted the lenders wait for the decision of the Arbitration Court in Stockholm.” (Stati had asked the Court to recognize that the Kazakh government breached the international Energy Charter Treaty). 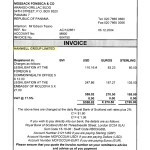 “As of August 25, 2011 Mr. Stati could no longer be contacted through the usual channels …. „, says the creditors’ complaint. The lenders were alarmed by Anatolie Stati’s reaction. On 20 Sept. 2011, they sent a formal notice, asking him to sign a statement confirming that he would pay the outstanding amount of the loan, plus interest, in total more than US$ 93 million from the money derived from the Afren transaction. Anatolie Stati did not react in any way to the request of creditors who have decided to assert their rights in court. 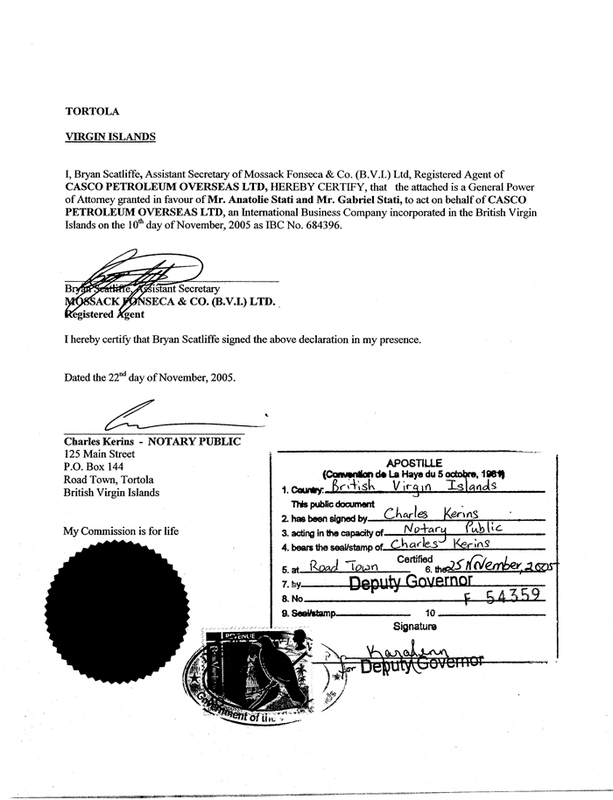 On 26 Sept. 2011, the Eastern Caribbean Supreme Court issued a ban on disposal of Ascom Oil Company Ltd. (owner, A. Stati) and Anatolie Stati’s assets amounting to US$ 90 million in the BVI. The court made this decision after examining the complaint lodged by the Renaissance Securities Ltd., Atlas Global Asset Holdings and Stichting Security Trustee against Ascom Oil Company Ltd., Anatolie Stati and Laren Holdings Ltd.
On 3 Oct. 2011, Ascom Oil and Stati’s lawyer informed creditors that the Afren transaction was closed, but was not finalized. „Payments amounting to about US$ 188 million were made. Payments amounting to about US$ 200 million are to be made in the first quarter of 2012. 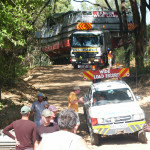 Payments were made through bank transfer. Komet Group JV is the beneficiary of payments,” reads the document. 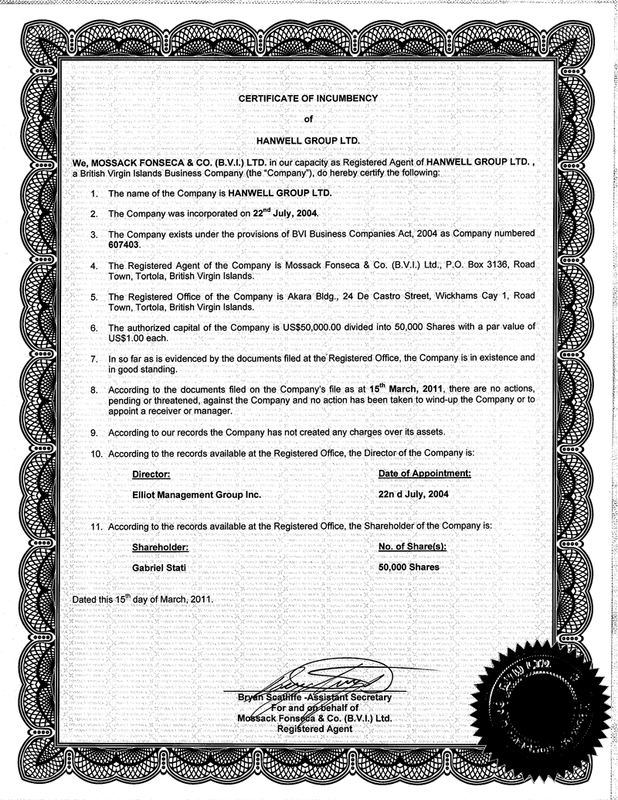 On 12 Oct. 2011 Mossack Fonseca issued a certificate confirming that Ascom Oil Company was „clean”. In Moldova, the Stati family owns several businesses and properties, directly by family members, but also through offshore companies. Ascom Group headquarters is in a palatial building on Mateevici Street 75, Chisinau, which is also the headquarters of the Organization for Security and Cooperation (OSCE) Moldova mission. 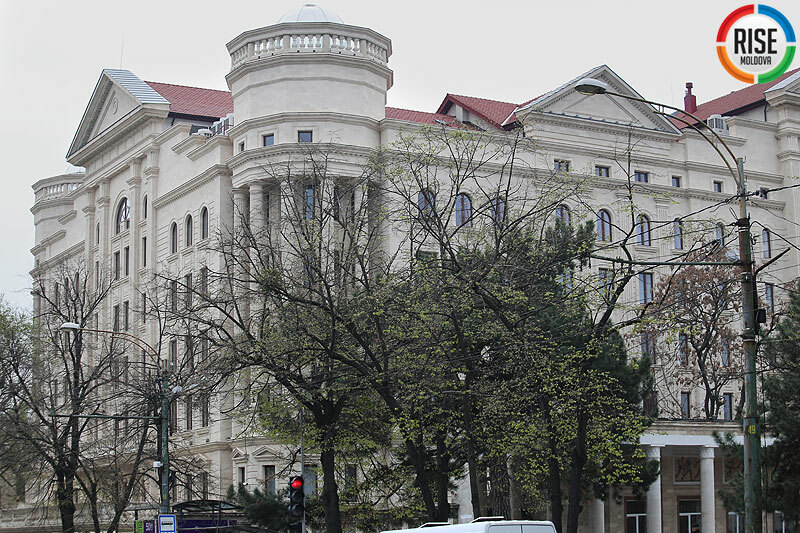 The building, appraised in 2009 at more than 70 million lei (US$ 3.5 million), is owned by the Novitas joint stock company founded by Anatolie, Larisa and Gabriel Stati. Over the years, Ascom has employed former Prime Minister Iurie Leanca, former deputy prime minister Eugen Carpov, and Anatol Salaru, the current Minister of Defense. 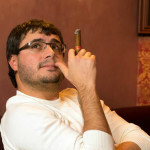 In Moldova, the tycoon is the sole owner of the trading company Adamant Ltd. and manages the East-West International Representative Office of Luxembourg in Chisinau. In 2014, East-West International rented more property at Stati Castle in the village of Truseni. Also in Truseni, he owns more than 1,000 plots of land. 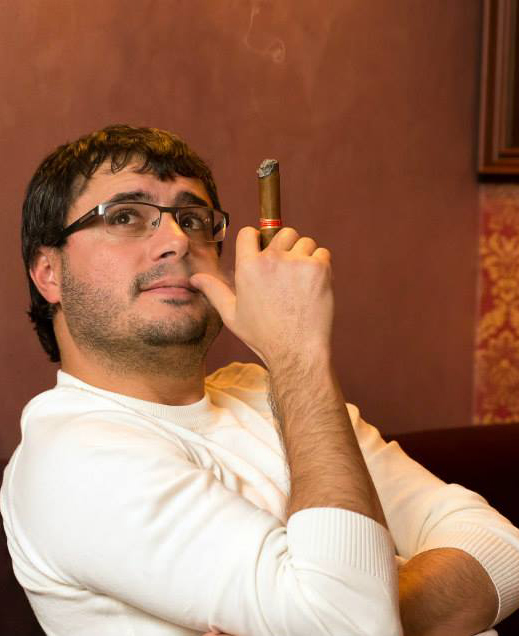 Through the Hanwell Group Ltd., an offshore company in the BVI, Gabriel founded the Stal-Petrol Company in Chisinau, which has a registered capital of nearly 40 million (Details HERE). In its turn, Stal-Petrol owns of several buildings in Moldova. According to cadastral register information, Gabriel Stati is the owner of the land in Truseni village on which the Stati Castle was built. He also owns a luxurious house in the Buiucani sector of Chisinau. In 2010, Gabriel entered politics as an independent candidate in Parliamentary elections, but did not win. Nicoleta Stati, the couple’s daughter, is 35 and owns an advertising company, Nicemedia Ltd. She is a painter, academic director of the Igor Vieru High School of Plastic Arts and founder of the Stati Art Academy of Painting. In 2011, Saif Gaddafi, son of the former Libyan dictator, came to Chisinau at her invitation to participate in an exhibition of paintings. The Stati Castle in Truseni.